Justin Titchenell is a student at Gettysburg College, where he competes on the football team and studies Organization and Management. Being a Philadelphia sports fan is not easy. Despite this hardship, we remain loyal through every heart-breaking loss, every losing season, and through the agony of coming-up short. From the start of the 2015 Philadelphia Eagles season, there was uncertainty. Acting as the de facto General Manager, third-year head coach Chip Kelly either cut or traded several prominent starters. Those notable included: Nick Foles, Evan Mathis, Trent Cole, and the 2013 rushing champion LeSean McCoy. In addition, the team's leading receiver, Jeremy Maclin, left in free agency. These changes were made so that Kelly could find players who fit his system. As a result, he brought in a slew of new players. Those most notable included: Sam Bradford, Kiko Alonso, Byron Maxwell, Ryan Matthews, and DeMarco Murray. This large-scale overhaul set the Eagles back. To put it into perspective, the Eagles made playoffs in 2013, Kelly's first year with the team. Not only did they win the NFC East, but they posted a respectable 10-6 record. In 2014, the team reached ten wins yet again; however, this time they failed to reach the playoffs. With a young core of talented players in Nick Foles, LeSean McCoy, and Jeremy Maclin, there was still hope that the Eagles could take the next step and make a deep run into the playoffs. When Chip Kelly disbanded this group prior to the 2015 season, there was uncertainty; nevertheless, hope still remained that there was a method to his madness. We quickly found out that Kelly ruined our team for the time being. No one knew what to expect with this new group of Eagles. Would DeMarco Murray have a 1000 yard season? 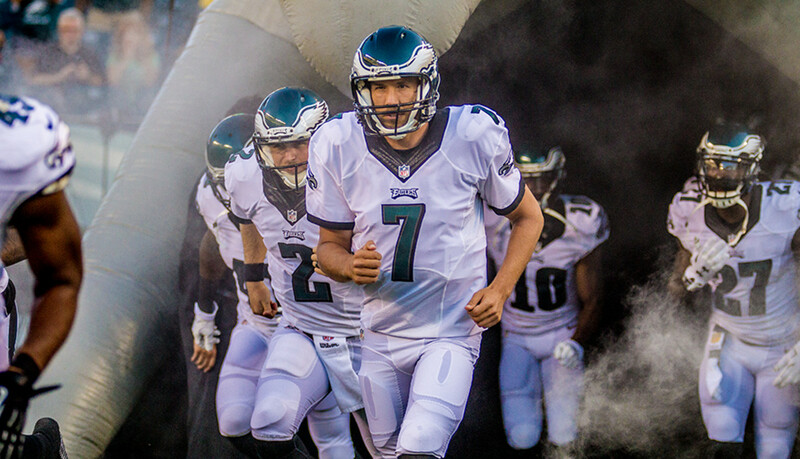 Would Sam Bradford live up to his potential? The uncertainty with this team never-ending. 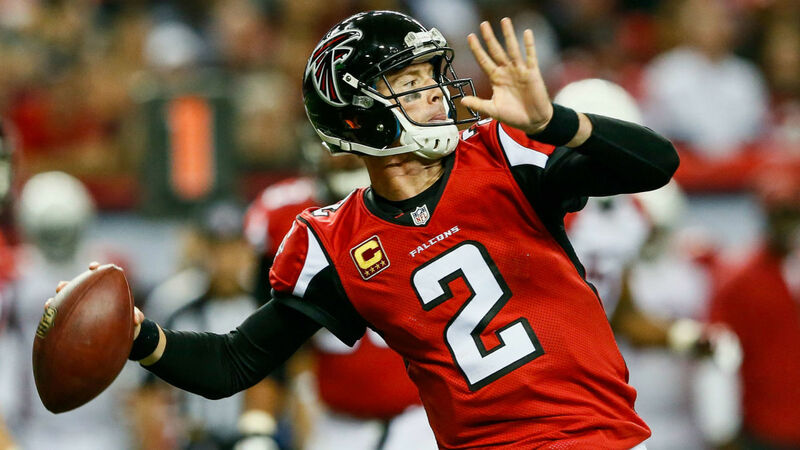 In week one, the Eagles lost to Matt Ryan and the Atlanta Falcons by a score of 26-24. This embodied the first half of the season as they came up short on multiple occasions. Losing to the Redskins by a field goal, the Cowboys by ten, and the Panthers by eleven. Despite going 3-4 in this stretch, the team remained in the NFC East race as the Cowboys were 2-5, the Giants were 4-3, and the Redskins were 3-4. In fact, the Eagles were in contention to win the division up until week 16 where they faced the Washington Redskins. At this point, the Cowboys were eliminated with a record of 4-10. The Giants would still have been in the race had the Eagles won. Going into the biggest game of the season versus the mediocre Redskins, the Eagles held a record of 6-8 and the Skins were 7-7. With a win, the Eagles could have won the division if the Redskins lost in week 17. Long story short, the Eagles lost the game 38-24. Seemingly Chip Kelly's last straw, he was fired at the conclusion of the game. Coming off of a 7-9 record, with a depleted core of talent, many believed it was time for rebuilding. 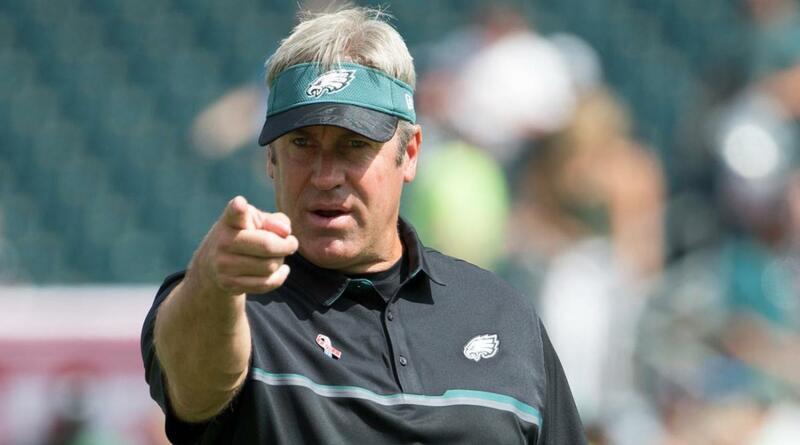 However, the Eagles next head coach, Doug Pederson, had different plans. After the firing of Chip Kelly at the conclusion of week 16 in the 2015 season, Howie Roseman resumed his status as General Manager. Therefore, giving him control over draft operations for the organization. This proved to be the most important decision the Eagles could have made as Roseman made multiple deals to secure the second overall pick in the 2016 NFL Draft. This pick was intended to be the long-term solution to the Eagles quarterback problems stemming back to the end of the Donovan McNabb era. As a result, Roseman and the Eagles selected Carson Wentz out of North Dakota State. At North Dakota State, Carson Wentz was sensational. In his first season as the starter in 2014, he threw for 3,111 yards and 25 touchdowns leading the Bison to their fourth consecutive national championship title. What did he do for an encore? 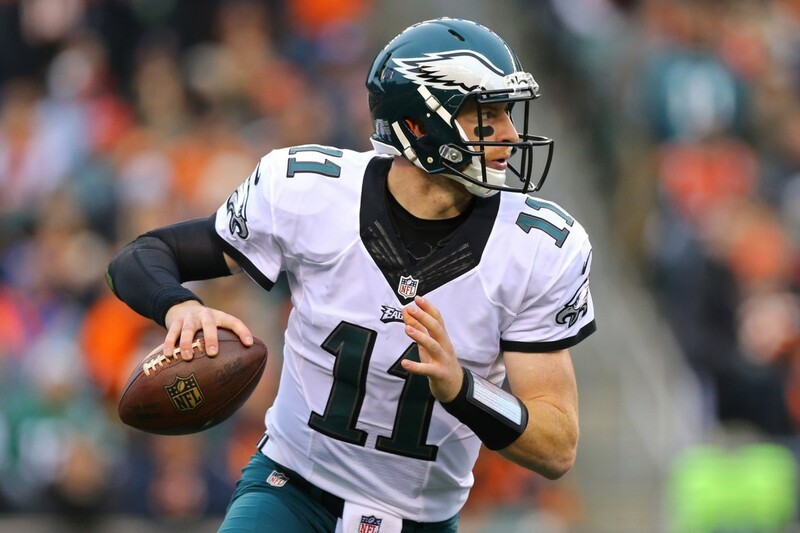 Wentz came back from a broken wrist, which sidelined him for two months, to lead the team to their fifth consecutive title win. Although Sam Bradford remained the starter until Wentz was deemed ready, there was a great deal of hype around the young gunslinger. After a sequence of deals in late August of 2016, a few weeks before the start of the regular season, Howie Roseman was able to secure a deal that sent Bradford to the Vikings in exchange for a first round pick in 2017 and an additional pick in 2018. Due to a rib injury Wentz suffered in the preseason, Chase Daniels was expected to start the 2016 season for Philly. However, Wentz was named the starter the week before the their game versus the Cleveland Browns. For the first time since Donovan McNabb, the Eagles seemingly had a franchise quarterback in Wentz. Although there was great potential, the rookie had much to prove. Many questioned his abilities as his college competition at the FCS level was far inferior. Could he make the transition to the high-speed NFL? The answer to that question came early. 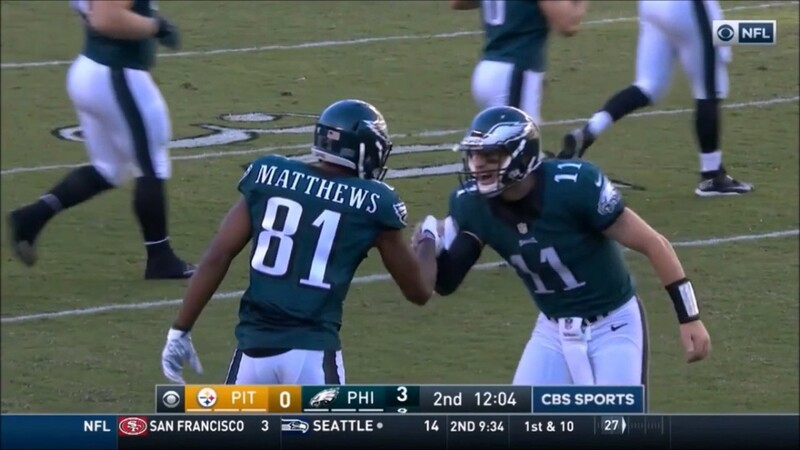 Not only did Wentz impress in his first game as an Eagle, but he led the team to three straight wins over the Browns, Bears, and Steelers. 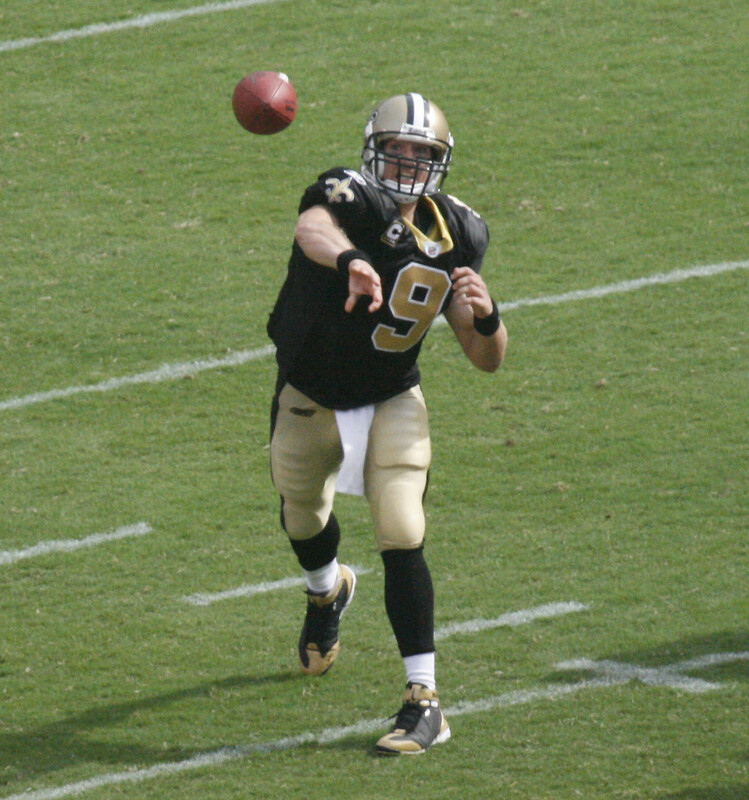 During this stretch, he threw for 5 touchdowns and 0 interceptions. Although the Birds started out hot, they experienced growing pains. The remainder of the season was filled with adversity. Through eight games, the Eagles held a 4-4 record. They were very much in playoff contention at that point; however, they only won three games to finish the year. Ultimately, the team finished 7-9 for a second straight year. Wentz's up-and-down year was filled with promise. Most believed this was the guy that could be the solution, but he still did not prove anything. Although the Eagles finished with the same record 7-9 for two consecutive years, things were different the second time around. Not only did they have a talented young quarterback in Wentz, but they had a solid play-caller in Doug Pederson, two things they lacked at the end of their 2016 campaign. General Manager Howie Roseman knew the potential Wentz possessed. 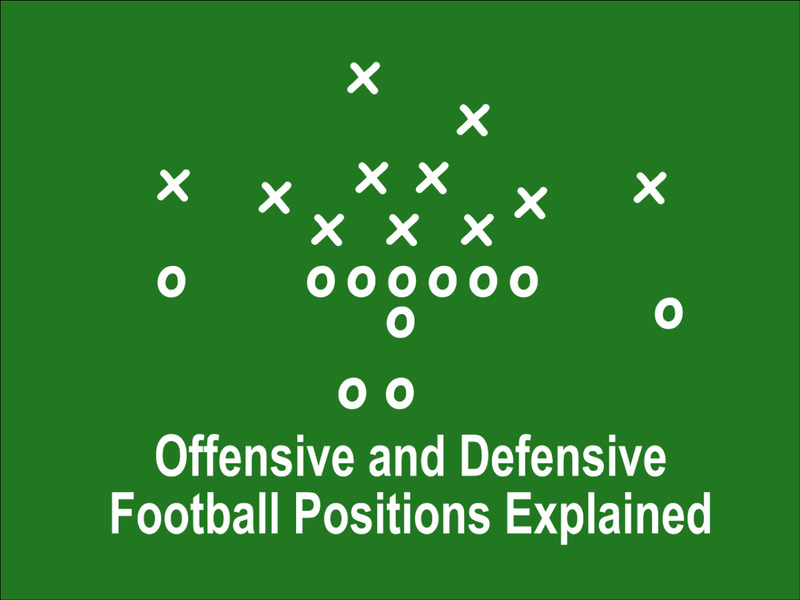 In order to unlock this potential Roseman found it necessary to find weapons on the offensive side of the ball. Upon setting Wentz up for success, he signed wide-receivers Alshon Jeffery and Torrey Smith, along with running-back LeGarrette Blount. In addition to these acquisitions, the Birds drafted another offensive-threat in wide-receiver Mack Hollins. On the defensive side of the ball, the Eagles added a slew of big-time talents in lineman Timmy Jernigan, Chris Long, and Derek Barnett. In the secondary they signed corner-backs Patrick Robinson and Ronald Darby to bolster the defense. On both sides of ball the team was more talented and acquired experienced veterans who could lead the team to the next level. To say there was hype around the 2017 season would be an under statement. In a year of unexpected highs and lows, the Eagles finally gave Philly its first ever Super Bowl victory. Opening the season versus the divisional-rival Redskins was no laughing matter as the Birds had not beat the Skins since September of 2014. After defeating them by a score of 30-17, the next challenge was even more daunting: Andy Reid and the Kansas City Cheifs. This time the Eagles came lost. What came next was nothing short of a miracle. Going on a nine game winning streak and establishing themselves as a contender with a 10-1 record, the team established an identity. 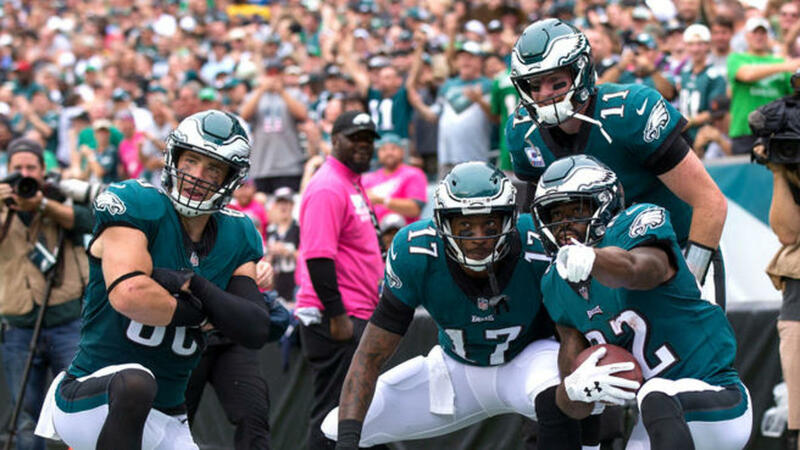 It was fun to watch Carson Wentz throw four touchdowns and disgrace the Arizona Cardinal defense, it was fun watching Brandon Graham and Fletcher Cox beat-up on Cam Newton, it was fun watching the team mesh and form something special before our eyes. I truly believed no one could beat this team when they were rolling. Although the red-hot Eagles soured to a 10-1 record, they lost many key contributors along the way. First offensive threat Darren Sproles tore his ACL, then special-teams stalwart Chris Maragos tore his ACL, then linebacker Jordan Hicks tore his achilles, then future hall of famer Jason Peters tore his ACL, the list seemingly went on forever. Despite these loses, the Birds never flinched. Their commodore was bullet-proof as it was tested on multiple occasions. The biggest test was yet to come. After a rare mediocre performance by the team, they lost to the Seahawks to drop to 10-2. The next week they went on to play the Los Angeles Rams in California. There was four minutes left in the third quarter and the Eagles were down 24-28. Wentz and the Eagles were primed to score as they were positioned on the three yard-line. The edge was sealed and no one was seemingly open, so Wentz scrambled as he often did. As he lept into the end-zone, he suffered a torn ACL and LCL in his left knee. This was surely the end of their season. They could sustain prior injuries but they could not go on without their MVP caliber quarterback, right? Luckily the world was wrong and back-up Nick Foles was more than capable to take the reigns. In the remaining games of the season, the Eagles secured the top seed in the NFC, despite mediocre performances from quarterback Nick Foles. Attribute it to the fact that he did not play all season or that he was simply not a good player. Regardless, they were finding a way to win. For the first time in NFL history the top seeded team was the under-dog in the divisional round of the playoffs. The disrespect did not stop there. The Eagles were written off by every talk show host, every analyst, and even by many fans. How could they not have learned this team had already overcome the losses of four key contributors on both sides of the ball? 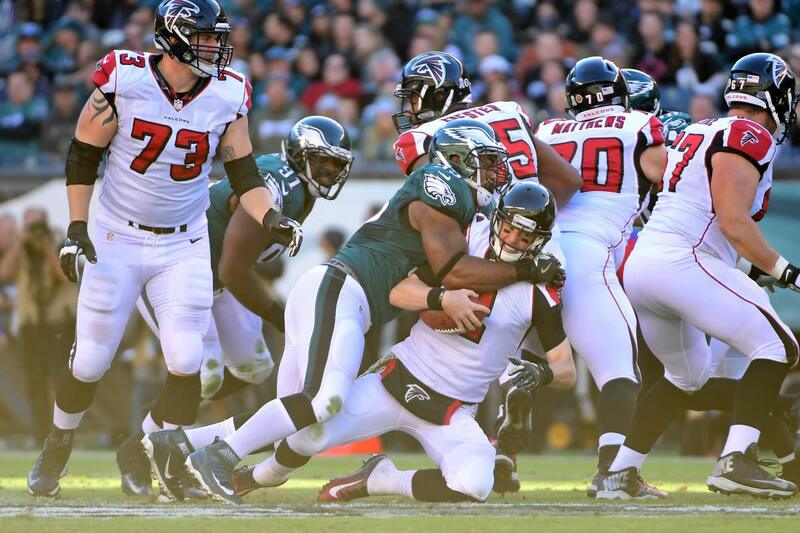 This game was a gut-check for every individual who geared-up, especially Nick Foles. Not only did Foles show-up big time, but the Eagles proved that they were no under-dog defeating Matt Ryan and the reigning NFC champion Falcons. After a nail-biting victory a week before, the Eagles were primed to play the second-seed Vikings. Surely Nick Foles and the Eagles could not pull off another win against a quality team, right? Luckily, the analysts, commentators, and naysayers were wrong again. Going into the game as home underdogs for a second straight week, the underdog-persona was in full force. Some fans who attended the game even went as far as wearing dog masks like those worn by Chris Long and Lane Johnson after the victory over the Falcons. Although both games resulted in the same outcome, the NFC Championship was never close. 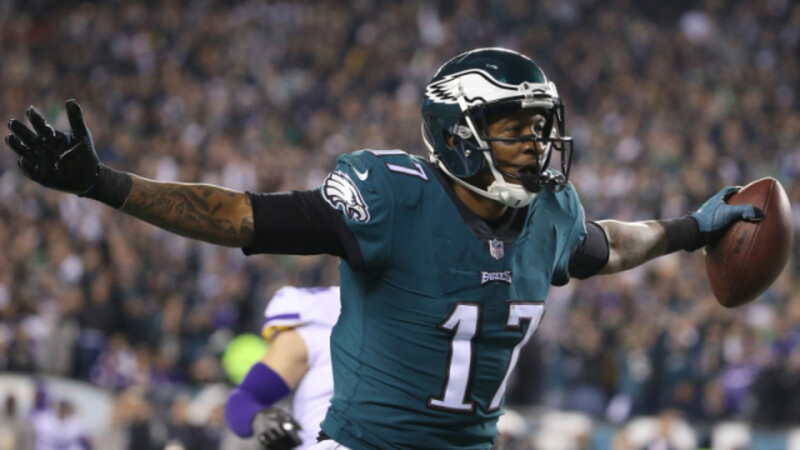 After the Case Keenum led Vikings tore-apart the Eagles secondary in the first drive, they were shut-out and held to just over 300 yards of total offense. Ultimately, Nick Foles played exceptional and the Eagles rolled on both sides of the ball to secure a 38-7 victory. For the first time since 2004-2005, the Birds were NFC Champions. Although this feat was something to celebrate, what lied ahead was the real challenge. The stage was set. The NFC Champion Philadelphia Eagles versus the AFC Champion New England Patriots. A back-up quarterback in Nick Foles versus the greatest of all time in Tom Brady. On paper the Eagles had not shot. They were far inferior to the dynasty that is the Patriots. However, they had what no one could measure: heart. Through trial and tribulation and adversity in the form of injury, the Eagles were battle-tested. Nothing could stop this group of men, not even Patriot's coach Bill Belichick and Tom Brady. The game was nothing short of a classic as several records were set. Those most notable include: most points scored by a Super Bowl losing team (33), most yards gained in an NFL games by both teams combined (1,151), and fewest punts in a Super Bowl by both teams (one). The game seemingly settled when the Eagles recovered a fumble deep in Patriot territory and converted a field goal to extend their lead to eight points with 1:05 remaining. However, Brady and the Patriots got the ball back with roughly one minute remaining. They drive result in a failed Hail Mary pass. 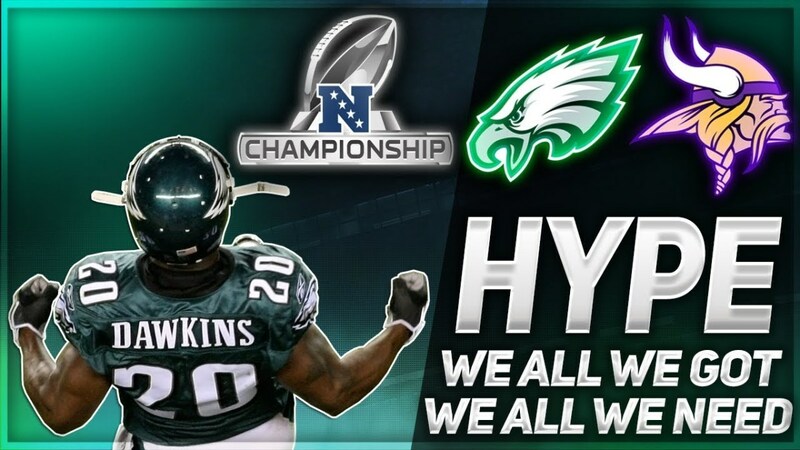 "Eagles fans everywhere this is for you! Let the celebration begin!" "The greatest fans in the world have their Super Bowl." 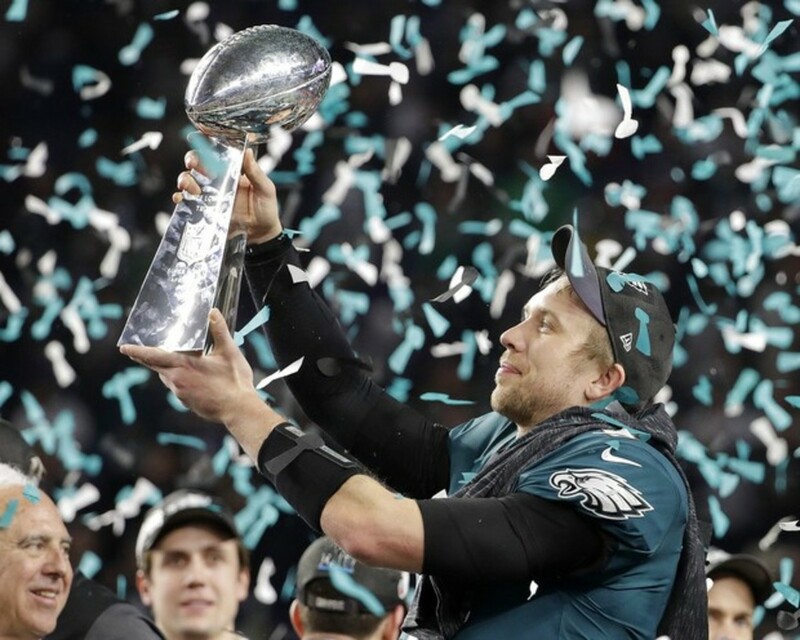 Foles completed 28 of 43 pass attempts for 373 yards and three touchdowns with one interception, caught a one-yard touchdown pass, and was named Super Bowl MVP. Foles' touchdown pass later became known as the "The Philly Special" and joined NFL lore. The Eagles did it. No one believed in this team, that did not matter, they believed in themselves. Their underdog persona fueled their hunger and nothing, I mean nothing, could stop them. When a group of people believe in a cause, nothing can stop them. If this does not prove that point, nothing will. These driven men brought joy to a whole city. In the words of the great center Jason Kelce, "hungry dogs run faster". This holds true in all facets of life. "We All We Got. We All We Need"